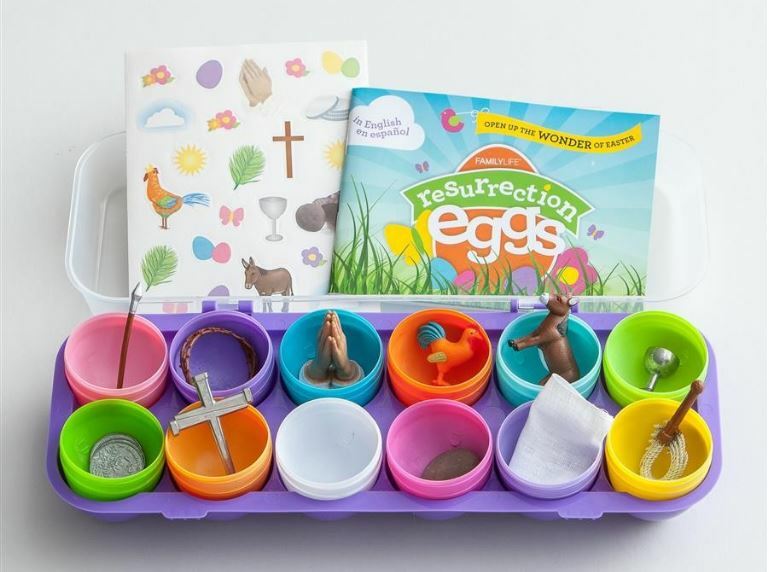 Target has had Easter items out since the day after Valentine’s Day, and it can be really overwhelming to find items to fill those Easter baskets that aren’t just fun, but meaningful. One thing we definitely don’t need in our house is more “stuff,” which is why I thought I would share with you some of my favorite Easter gifts and activities to help your family celebrate. Though I’ll be honest. I definitely bought the little “Easter Egg Hunt” signs from Target’s dollar section. And some Peeps. We are big, big fans of the Bible Belles stories. Erin has created a series of books that draw our daughter into Scripture in a perfectly age-appropriate way. Madi loves that the main character loves the same things she does (soccer, playing with friends) and has the same struggles (kids who are mean, a desire to make everything “fair”). The illustrations are beautiful and the stories are inspiring for the whole family. While you’re shopping, be sure to grab some free coloring pages! Last year we bought a set of these Resurrection Eggs and Madi really loved them. After going through them just a few times she was able to tell us the story of Easter – how and why Jesus was crucified, and how He came to life again. 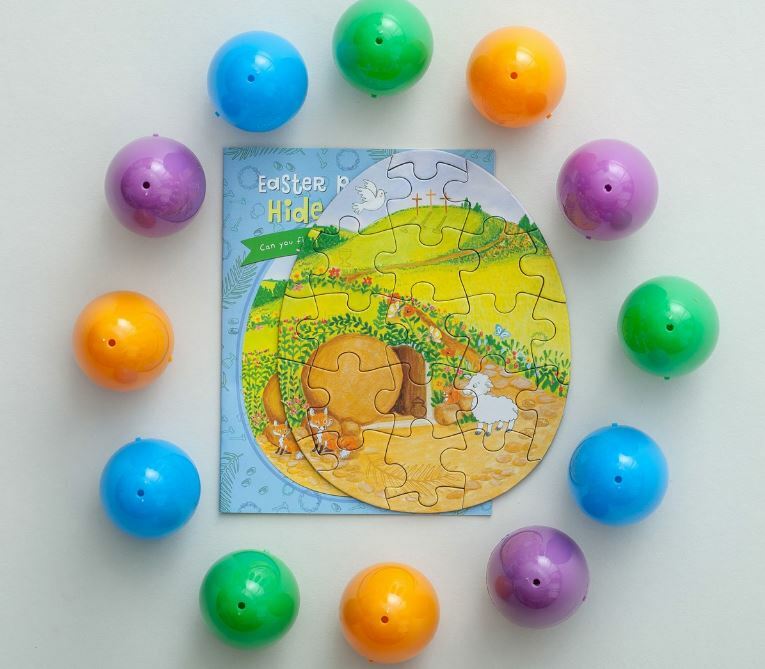 It’s a really fun and engaging way to bring little ones into your Easter celebrations. This year I’ll be hiding these eggs for Madi’s Easter Egg hunt, so she can put together a puzzle before she finds her Easter basket. It’s a small way to keep Jesus as the center of our celebration, but one I know she’ll enjoy. I think I might tape a picture to the back that shows her where her basket is hidden to add an extra “scavenger hunt” element to the activity. I remember always getting a new spring jacket and hat on Easter morning, but since Madi is already to an age where I can’t shop without her approval, I’ve decided books will be our tradition. 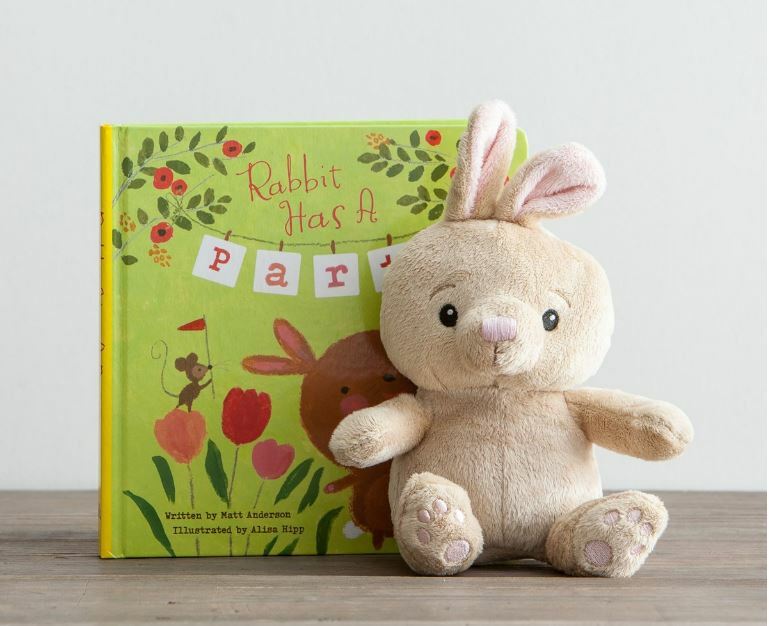 I love that this one comes with a super cute bunny stuffed animal – I can definitely see her taking the bunny with us to church on Easter Sunday! 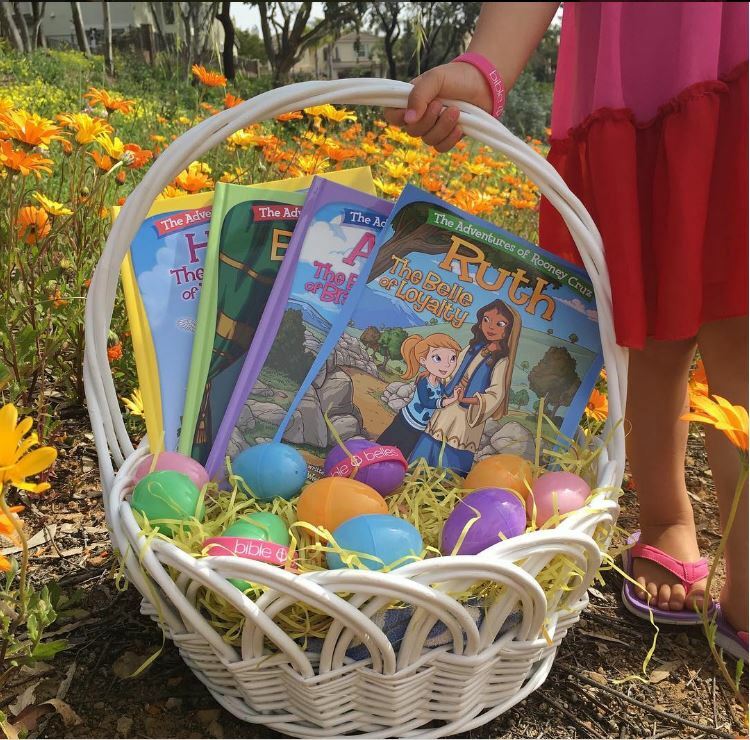 If you need an idea for an adult Easter basket, I think this Illustrated Faith set would be perfect! 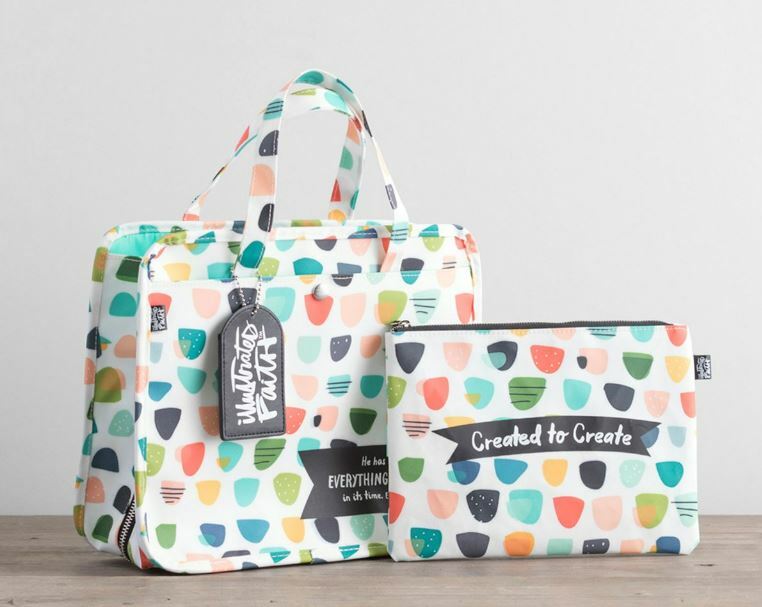 Wouldn’t it be so fun to stuff with a few favorite chocolate bars, some cute pens, stickers, or washi tape? I know I would love to find this on Easter morning! 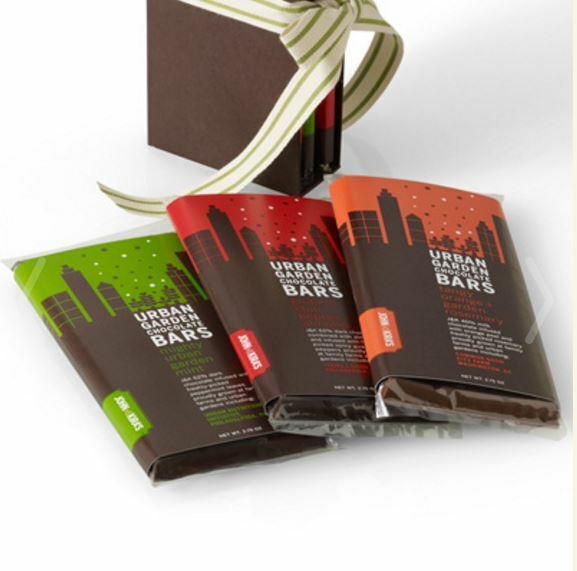 Speaking of favorite chocolates, we tried these at the Philly Flower Show and absolutely loved them. We ended up buying the mint bar plus a few other little Easter chocolates while we were there, and it took a lot of self-control not to eat them all on the drive home! 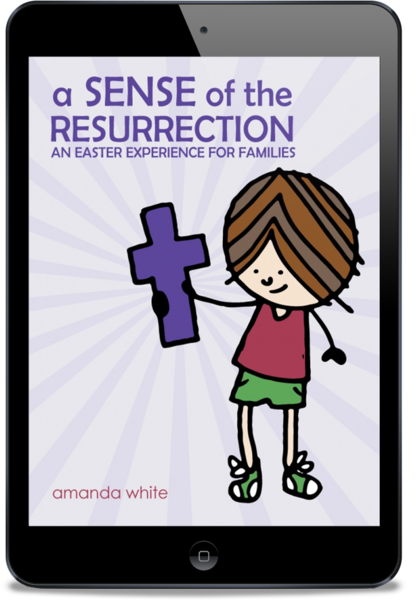 If you’re looking for a fun activity for your family leading up to Easter, I highly recommend Amanda’s “A Sense of the Resurrection” ebook. For under $10 you’ll have access to the kind of activities and Scripture readings that will help prepare your entire family for Easter. And if you head to this page you can download some free Easter basket gift tags I created! How are you planning to make Easter meaningful for your family this year?